The challenge: Add a POP of Neon to your project! This month’s kit is filled with beautiful pastels contrasted with black and white. It also mixes and matches BOLD patterns with soft watercolor brush strokes. In my opinion- trendy and genius of our spotlight designer Amanda Rose and the Clique Kits kit design team ! Now it’s your turn to show us your interpretation of the challenge to add a pop of neon to a project! Get inspired by this fun neon sign by Kate Spade, NY. But I also made a few more items with this fun kit! Here are the links to the rest of todays hop! This entry was posted in Clique Kits and tagged Blog Hop, Clique Kits. Bookmark the permalink. These are fabulous, Tyra!!! I love how you used the crane cut file!! I love those colors. And you inspired me to make a tag again as I haven’t in quite awhile. Thanks! Love these! fabulaous cards as usual! 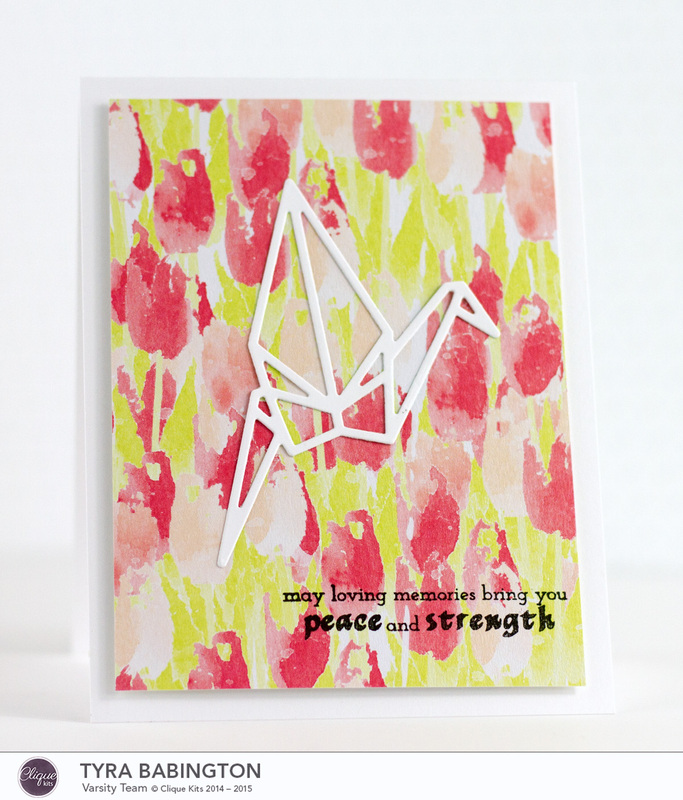 Amazing projects- I’m SO in love with that “origami” crane! Beautiful work. I love the colors of this kit! 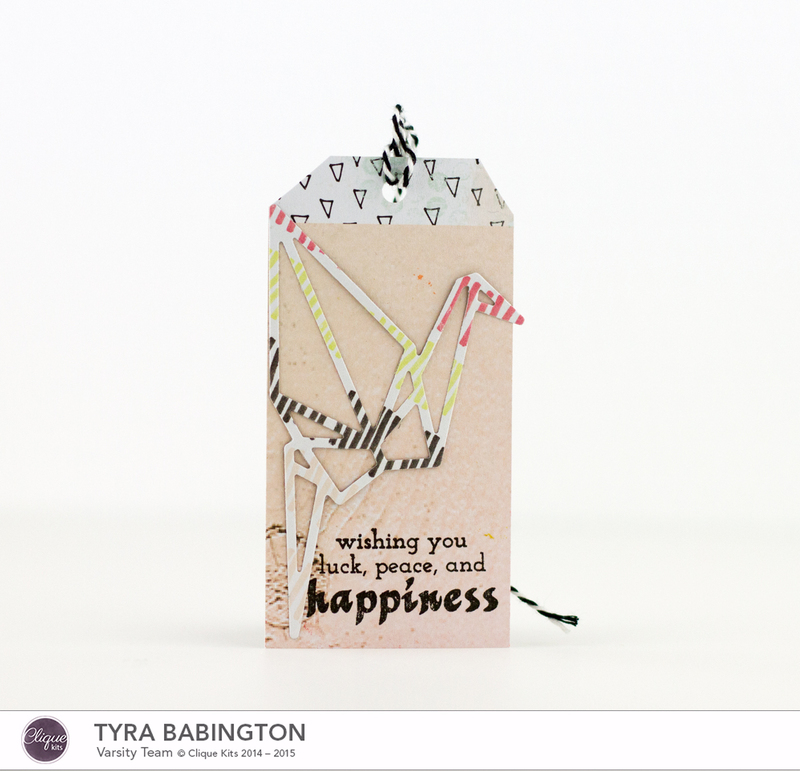 Amazing cards and tag, Tyra! Love it!! The origami crane is great. I love the meaning behind it and how well that goes with your cards. Love how you featured that die! Your cards are always amazing! Love your cards and tags. The neon looks great on them! Love these! he tag is fabulous! Love these! The tag is fabulous! Fabulous cards Tyra, love them all! These are just adorable cards! Awesome cards Tyra! Makes me wish I had bought that die. The cranes are awesome on these cards. Now I need to see if I can get that crane so I can use it too. Your work is always inspiring! Love all of these projects! I love how you use those cranes! Oh I love these! Is the crane a die that comes with the kit? gorgeous projects, tyra! i love that crane die and how you used it!! awesome cards as usual, tyra! Your cards are always wonderful, and I love that tag! Holy moly! The card is so cute looking, absolutely stunning work. I love the tag as well – you’re really talented!